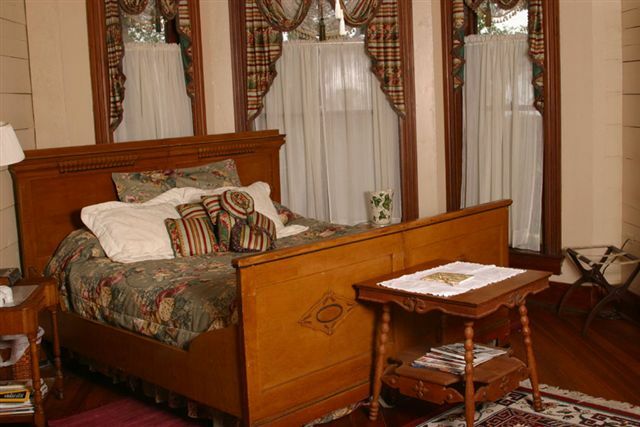 An elegant and unusual turn-of-the-century bedroom suite anchors the Master Suite. Lounge on the king-size featherbed or relax on the loveseat (sofa bed, for children or an extra guest) in front of the fireplace. The oversized bath (with shower) was originally the family nursery. A tiny adjacent room was once the original owner's photographic darkroom. Availability calendar is being upgraded.